A student scores a on the Scholastic Assessment Test (SAT). 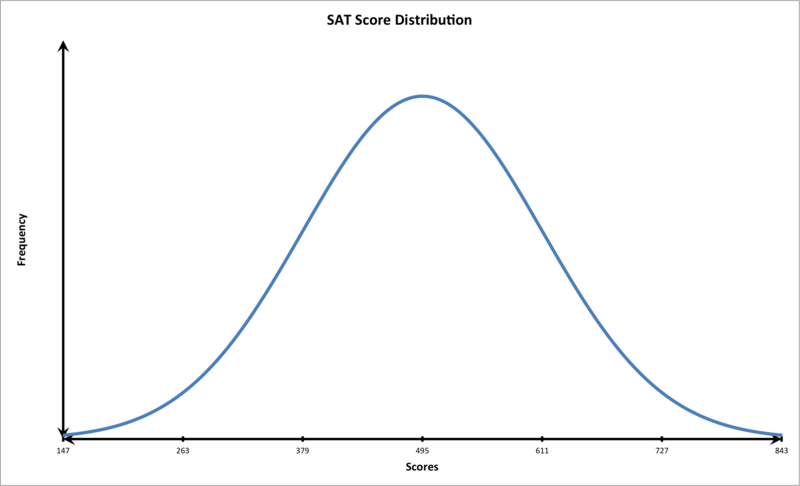 A college admissions committee does not know how the exam is scored; however, they do know the scores of the exam form a normal distribution pattern. They also know the mean score and standard deviation of the population of students that took the test. Using this information, determine whether or not the student scored well on the SAT. The student scored well: above a single standard deviation of the mean. The student scored very well: above two standard deviations of the mean. The student scored very poorly: below two standard deviations of the mean. The student scored poorly: below a single standard deviation of the mean. The student's score was average: similar to the mean. Now that we have discussed the components of the bell curve, let's consider the scenario presented in the question. We should first plot the data on a graph that follows the shape of a bell shaped curve with three standard deviations. Let's calculate two standard deviations above the mean. The student scored very well: above two standard deviations from the mean. 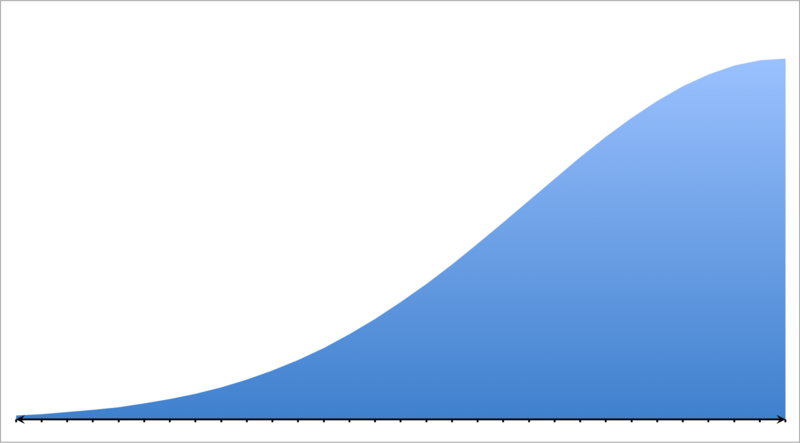 Notice that at this point on the graph, the tail of the curve is closer to the horizontal or x-axis. This means that fewer students scored this high on the exam. In other words, the student performed very well. Which of the following choices best describes this model? In order to solve this problem let's review the following distributions: normal, positive/right skewed, negative/left skewed, bimodal, and uniform. 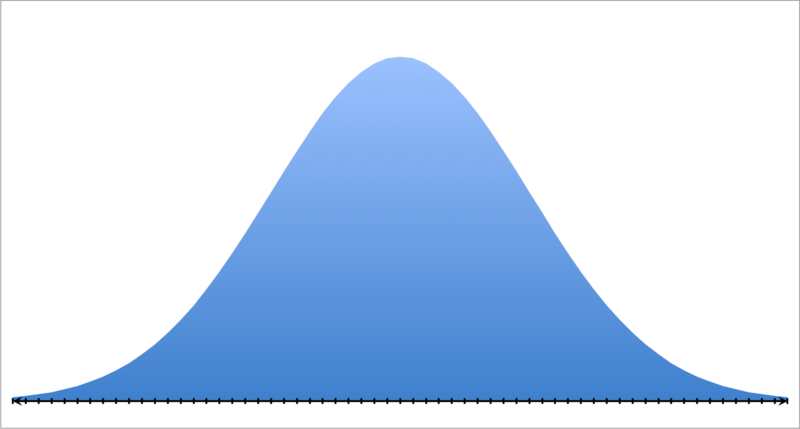 A normal distribution is also known as a bell curve. 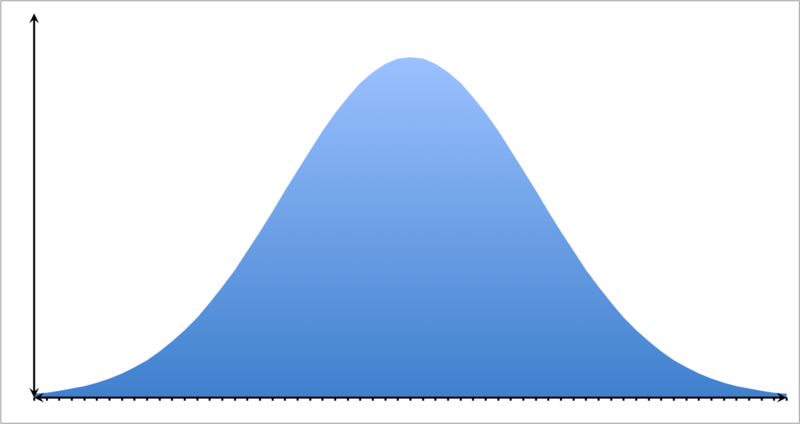 Data that form a bell curve have three primary characteristics: the data is single peaked meaning that it has a single mode, it is symmetrical, and contains no outliers. 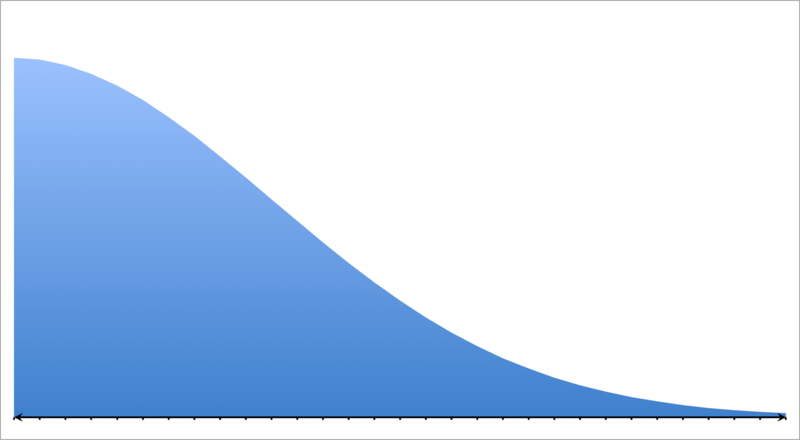 A positive or right skewed distribution has a longer tail on the right side due to outliers while the majority of the points are concentrated on the left side of the graph. In other words, the set favors probabilities on the left of the model. A negative or left skewed distribution has a longer tail on the left side due to outliers while the majority of the points are concentrated on the right side of the graph. In other words, the set favors probabilities on the right of the model. In a bimodal distribution, there are two peaks due to several modes in the data set. These multiple central tendencies are the result of two or more favorable probabilities in the set. In a uniform distribution the data points form a a rectangle. These models are formed when data points possess a constant probability. The model in the question matches that or a positive or right skewed distribution; therefore, the correct answer is "right skewed." Marygrove College, Bachelor in Arts, Education.